Playa desértica en las Terrenas (Samaná) en Octubre, fantástico. Las Terrenas is a town on the northeast coast of the Dominican Republic, located in the province of Samaná. It is known for its scenic landscapes, white sand beaches and clear waters. 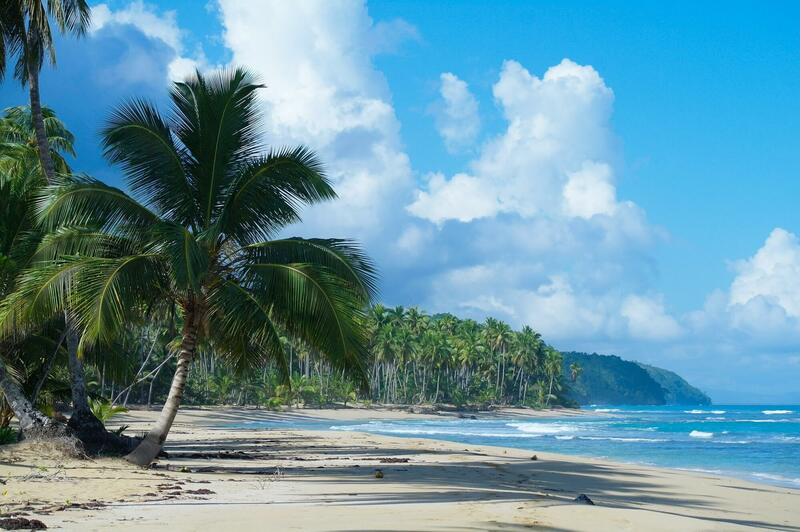 Tourism in this region is constantly growing due to investments in tourist infrastructure such as hotels, clubs, restaurants and shopping centers such as "Puerto Plaza las Terrenas". Las Terrenas was founded in 1946, when then-President Rafael Leonidas Trujillo ordered the rural inhabitants of Santo Domingo to resettle in the town as farmers and fishermen. Las Terrenas was then a small fishing village isolated from the rest of the country.